Records reveal that 10 of the country's top church leaders defy the Pope's example and live in residences worth more than $1 million. Clearly, "lifestyles of the rich and religious" doesn't cut it for Pope Francis. The pontiff has said it "breaks my heart" to see priests and nuns driving the latest-model cars. He's blasted "airport bishops" who spend more time jet-setting than tending to their flocks. And he's warned against church leaders who bear the "psychology of princes." 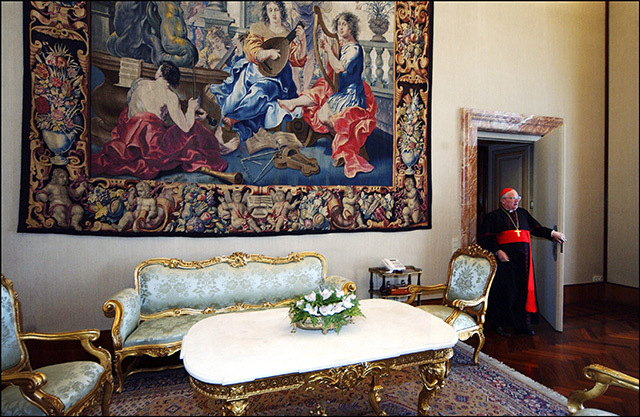 The Vatican fired one such "prince" last year: German Bishop Franz-Peter Tebartz-van Elst -- aka "The Bishop of Bling" -- who spent $43 million to remodel his opulent pad. "God save us from a worldly Church with superficial spiritual and pastoral trappings!" Francis said in his book-length blueprint for the church. Say what you will, but this Pope puts his preaching into practice. Previous pontiffs lived here, at the Vatican's opulent Apostolic Palace. 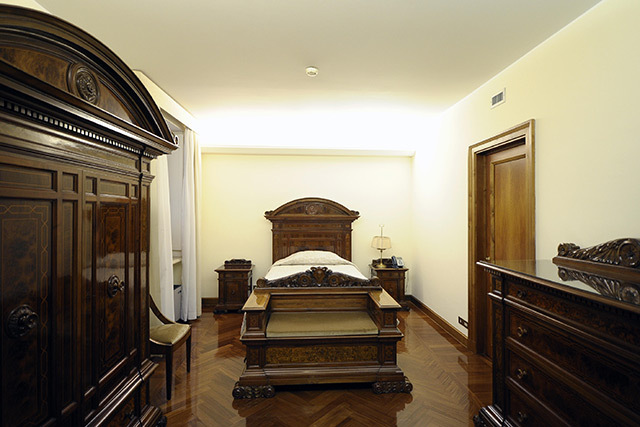 Pope Francis lives here, in a small suite in the Vatican guesthouse. The message seems clear, no? But are American archbishops following Francis' lead? That's not counting hundreds of retired and active Catholic bishops in smaller cities, some of whom live equally large. Among archbishops, Cardinal Timothy Dolan of New York leads the pack with this 15,000-square-foot mansion on Madison Avenue, in one of the priciest corridors of Manhattan. Vanderbilt Appraisal Company, a New York firm hired by CNN to estimate the building's value, said it's worth at least $30 million. Dolan shares the neo-Gothic mansion, which is reportedly filled with thick red carpets and priceless antiques, with three other priests. Chicago's Cardinal Francis George lives in a pretty fancy crib, too. This mansion has 19 chimneys and sits on 1.7 acres of prime real estate in Chicago's ritzy Gold Coast neighborhood. It's worth $14.3 million "as is," but the property could fetch far more, appraisers told CNN. George, whose private quarters occupy the mansion's top two floors, according to the archdiocese, shares the residence with two bishops and a priest. Three nuns who care for the cardinal and his mansion live in a 5,800-square-foot coach house near the main residence. The mansion's size, architectural details, location and unobstructed view of nearby Lincoln Park make the residence "one of a kind," said Thomas Schurer, director of sales for Chicago's Real Valuation Services, which appraised George's residence for CNN. Representatives for Cardinals Dolan and George point out that their mansions were built more than 100 years ago and are used as offices and for hosting guests and fundraisers as well as residences. They also say the mansions are historical landmarks and can't easily be sold or converted to other uses. A century ago, Catholics celebrated the success of their church in the United States by building mansions for their archbishops, historians say. It was a way of saying, "We've made it, and we're here to stay." But the point has been proved, some Catholics say, and Pope Francis has urged archbishops to refocus their resources on caring for the poor and marginalized. "There's no reason a bishop has to live like a prince or medieval monarch, even if he inherited the place from his predecessor," said the Rev. Steven Avella, a Catholic priest and professor of religious history at Marquette University. "They should convert the mansions to museums and move into rectories." In addition to regal residences, many archbishops acquire other perks: live-in assistants, housekeepers, chauffeurs and cooks. Others live alone in roomy residences. 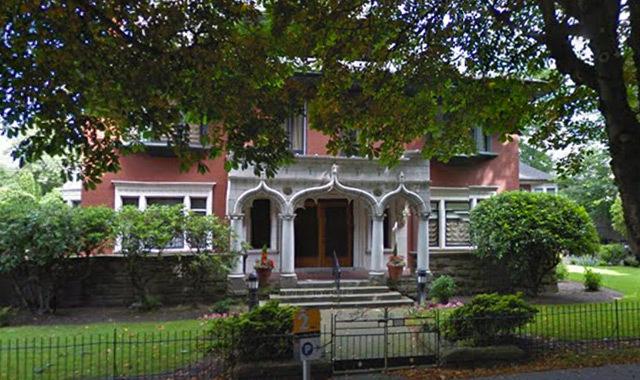 Archbishop James Sartain of Seattle, for example, lives by himself in this three-story house. The appraised value is $3.84 million, according to the King County Department of Assessments. 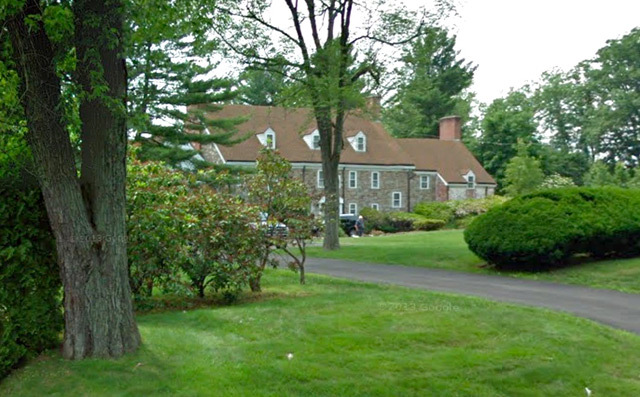 Archbishop Leonard Blair of Hartford, Connecticut, lives in this nearly 9,000- square-foot mansion, which was appraised at $1.85 million, according to government records. Archbishop Thomas Wenski of Miami lives with his secretary, a priest, in this six-bedroom, six-bath house. 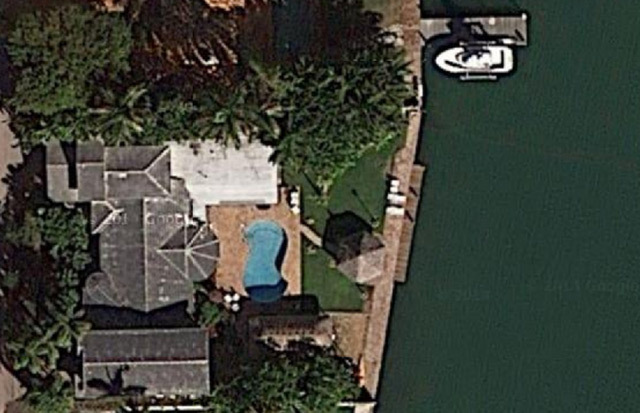 A tiki hut and pool in the backyard overlook Biscayne Bay. The 5,350-square-foot residence is worth more than $1.38 million, according to Miami-Dade County assessors. This castle-like mansion, once featured in an article on the "Palaces of St. Louis," is home to St. Louis Archbishop Robert Carlson. The 11,000-square-foot home, which Carlson shares with a priest-secretary, is worth $1.4 million, city appraisers say. Two nuns also live on the property, but not in the house, and cook and clean for the archbishop. In 2008, Carlson also bought a house in Estero, Florida, for $327,500, according to public records. Archbishop William Lori's home in Baltimore dates back to the very first bishop in the United States, John Carroll, historians say. The 11,500-square-foot building, where the archbishop lives with his priest-secretary and the rector of the Baltimore Basilica, is connected to the historic basilica by a passthrough. 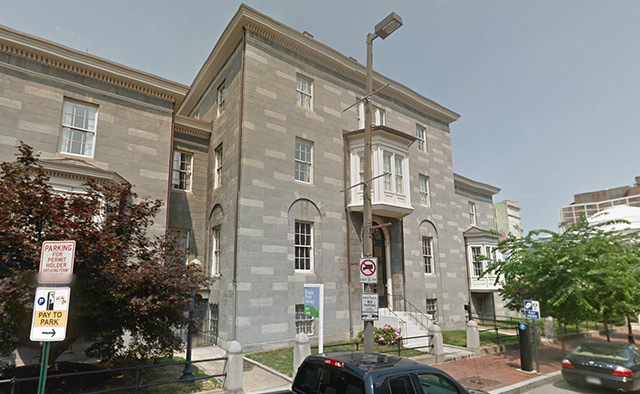 The Maryland Department of Assessment and Taxation says the residence, which includes offices for Lori and the rector of the basilica, is worth about $1.24 million. Archbishop Gustavo Garcia-Siller of San Antonio lives in this 5,000-square-foot residence, which includes a courtyard, a private chapel, a fireplace and a wet bar. 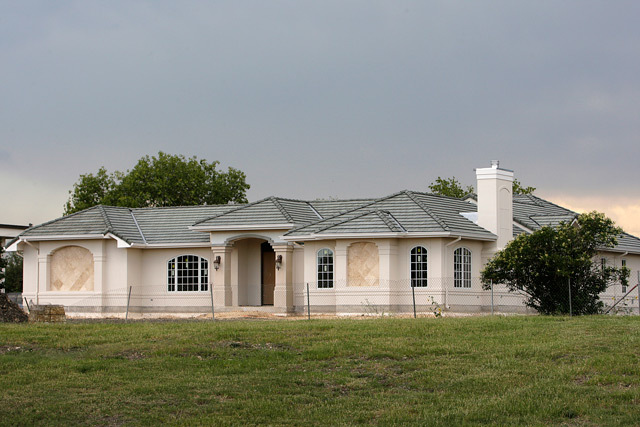 The residence was built by Garcia-Siller's predecessor in 2009 for $1.1 million. At the time, the archdiocese was facing a budget shortfall that resulted in the firing of 11 full-time employees, according to the San Antonio Express-News. In addition to the above examples, the Archdiocese of Los Angeles spent $7 million building a 26,000-square-foot rectory for its former archbishop in 2002, according to public records. Archbishop Jose Gomez, who moved to Los Angeles in 2010, now lives there with six priests. The Archdiocese of Denver is building a $6.5 million, 13,500-square-foot center that will include meeting space, a kitchen, a library, a chapel and an apartment for Archbishop Samuel Aquila. 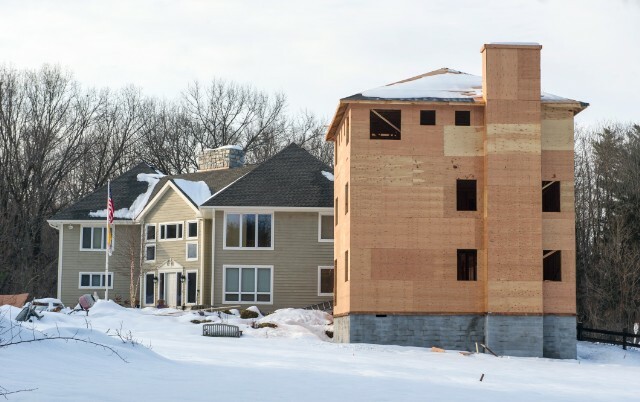 The residence portion, which includes living space for several other priests, will cost about $1.3 million, according to the archdiocese. Even in smaller cities, some archbishops live in houses few in their flock could likely afford. 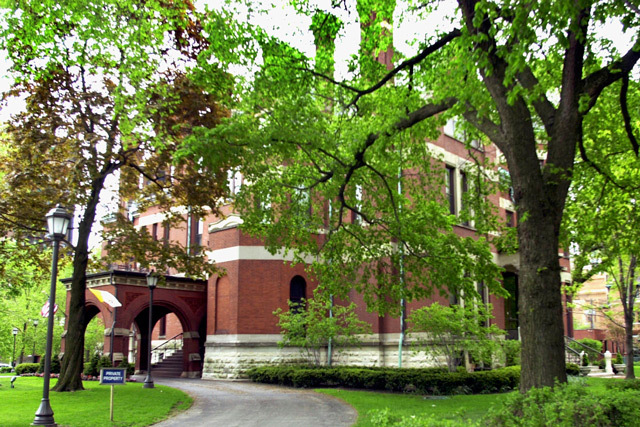 Archbishop Dennis Schnurr of Cincinnati, for example, lives by himself in a four-bedroom, four-bath house in Hamilton County, Ohio. 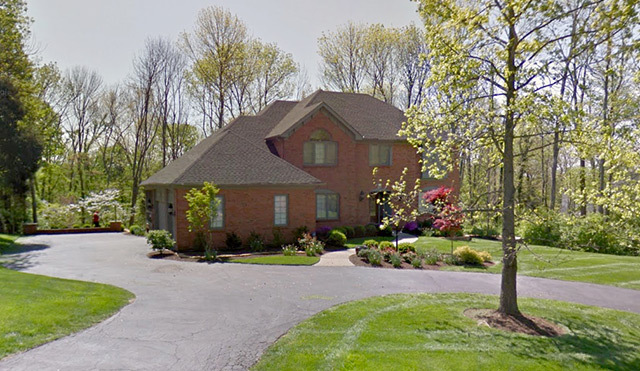 The archdiocese bought this house for Schnurr in 2009 for $469,718, which led to some grumbling by local Catholics. In response to questions about archbishops' residences, representatives for the church leaders say they are used as more than living quarters. They also have offices, host functions like fundraisers and house church staff besides bishops. 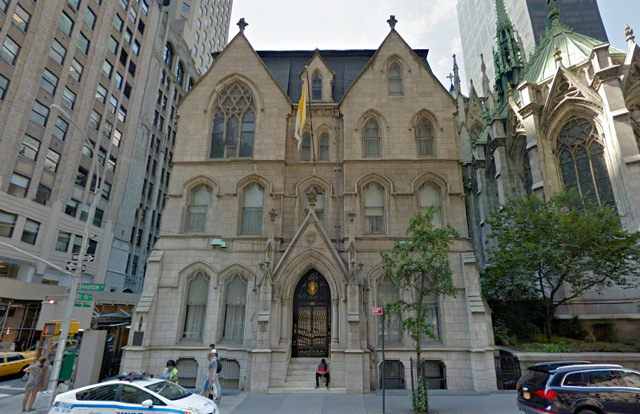 That's the case with Dolan's mansion, which connects to St. Patrick's Cathedral, said Joseph Zwilling, spokesman for the Archdiocese of New York. Besides, it's on the National Register of Historic Places, which means it can't easily be sold or converted to other uses, he said. "Even if, in your wildest imaginations, you could dream up a scenario in which the archdiocese would want to sell it, it couldn't be sold since it is a landmarked building and has to remain as-is," Zwilling said. Dolan has acknowledged, however, that Pope Francis' example has led him to question "the perks, the cushiness, we associate with being a bishop." "I find myself examining my own conscience ... on style, on simplicity, on lots of things," he told National Catholic Reporter last year. "I also find myself thinking about living arrangements, because that's a pretty nice house I'm living in." Zwilling said he's not aware of any discussions about Dolan moving out of his mansion. As for George, he floated the idea of selling his Chicago residence in 2002, saying, according to the New York Times, "How can I call on my priests to display humility in their lives if I'm living in a mansion like that?" 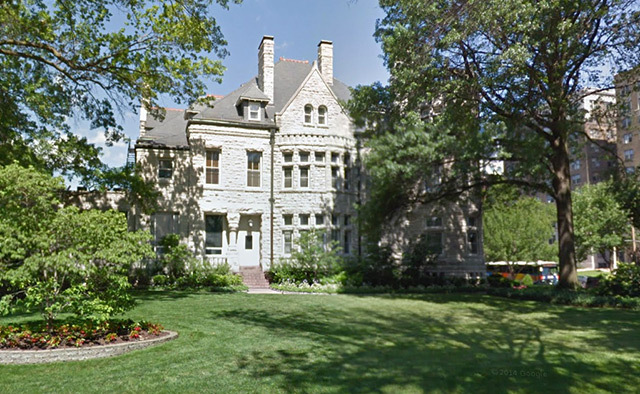 Colleen Dolan, a spokeswoman for the Archdiocese of Chicago, said she's not aware of any discussions about George selling or leaving the mansion. "The cardinal uses the building for meetings and receptions with donors," Dolan said, "and we'd be hard-pressed to find any other place that could serve those purposes." Catholics are a generous lot, said Sister Sally Butler, a Catholic nun who ministers in Brooklyn housing projects and has clashed with bishops over their response to the church's sexual abuse scandal. But they expect their donations to pay for missions like feeding the poor, training priests and educating students, not keeping up multimillion-dollar estates, she said. Like many Catholics, Butler said she is particularly galled by revelations that Archbishop John Myers of Newark, New Jersey, is spending $500,000 to add a wing to his already $800,000 weekend/retirement house. The new wing will include an indoor exercise pool, a hot tub, three fireplaces and a library. "It's scandalous!" said Butler, 83. "I guess they think they're entitled to it, but someone has to take these archbishops aside. It's so far from the gospel message and the Pope's example." Not all bishops live like princes, however. Boston's Cardinal Sean O'Malley resides in a rundown rectory on the South End. "We no longer need all the symbols of the past, especially when those symbols now seem ambiguous at best and a contradiction of some of our Gospel values at worst,'' O'Malley said when he moved out of the archbishop's traditional mansion in 2003. Archbishop Alexander Sample of Portland, Oregon, shares part of a converted convent with his elderly mother. And Archbishop Charles Chaput of Philadelphia sold the church’s $10 million mansion when he moved to town in 2011. "He felt it was not really necessary to live in a residence that large," said Ken Gavin, a spokesman for the Archdiocese of Philadelphia. "He wanted to live more simply." With Pope Francis leading the way, more archbishops may be doing the same. After getting an earful from angry Catholics, Atlanta Archbishop Wilton Gregory agreed to give up his $2.2 million mansion. 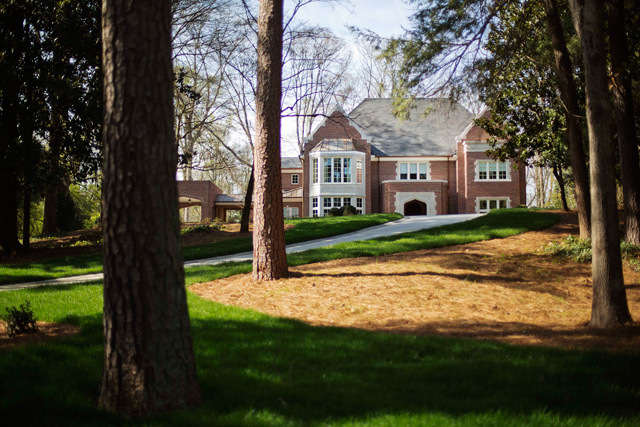 Here's the 6,000 square-foot-house, which sits in the city's upscale Buckhead neighborhood. Gregory apologized for building the mansion, calling it a lapse in judgment and out of step with his boss, the Pope. "What we didn't stop to consider," Gregory said, "was that the world and the church have changed." To find where they live, CNN's Daniel Burke and research librarian Lindsey Knight searched public records and confirmed the archbishops' living arrangements with their representatives. CNN dug into state and local government tax records, most of which are available online, to determine the value of the archbishops' residences. In several instances, no property values were available because the property is owned by religious organizations that are tax-exempt. In two such places, New York and Chicago, CNN hired appraisers to conduct Restricted Appraisal Reports of the cardinals' residences. The appraisers considered the value of each mansion "as-is." That is, they didn't consider alternative uses of the properties, which could increase their market value. Despite the immense popularity the aged Argentine has won since his election last year, not a jot of doctrine has changed, nor has the Catholic Church swelled with American converts. First he won the Internet. Then he won Facebook. Now, Pope Francis has won Time magazine's Person of the Year for 2013.